Let's talk about hair. It took me a long time to figure mine out; it's thick, it frizzes at the mere suggestion of humidity, it's extremely oily, yet still dry enough to become flaky. I still remember how embarrassed I felt when I first noticed dandruff in my hair when I was in middle school. That was when I started using Head and Shoulders. Not a lot has changed with my hair since then, but I can't say the same for Head and Shoulders. They now offer a whole line of shampoos and conditioners with amazing scents that do more than just guarantee a flake free scalp. I recently got a chance to try out the Smooth and Silky frizz control duo from their fresh scent technology collection, and in combination with my flat iron and a reasonable humidity level, you can see my hair is looking healthy, full of body, and lacking frizz and flakes. I might not normally want to talk about dandruff, but it's an issue for so many women that it seems silly to be embarrassed about it, especially since Sophia Vergara has recently partnered with Head and Shoulders and revealed that she and her entire family have been loyal users of the brand for the last 20 years. I'd be lying if I said I'd never lusted after Sophia's amazing hair, and it's nice to know she doesn't just wake up with it - she's got help from Head and Shoulders (and a great stylist, I'm sure). To enter, simply follow @HeadShoulders on Twitter and post a photo of your gorgeous, flake-free hair, tagging #PartOfOurFamily #sweeps and @HeadShoulders, and be sure to do it by September first! I'm a Head and Shoulders fan too! Your hair looks stunning!! And can I talk about how much I love your shoes!!! Gorgeous! I've always admired your hair. It is so thick and beautiful. This dress is so pretty on you! I love the colors. Have a great weekend! What a fun giveaway! And I'm loving that dress!!! You have amazing hair! Infinitely jealous of your volume! Your hair looks AMAZING and I love this colorful dress! My husband swears by head and shoulders--your hair is looking gorgeous!! Your hair always looks seriously stunning! And I'm a huge fan of the fun print of this dress too! Your hair always looks good! 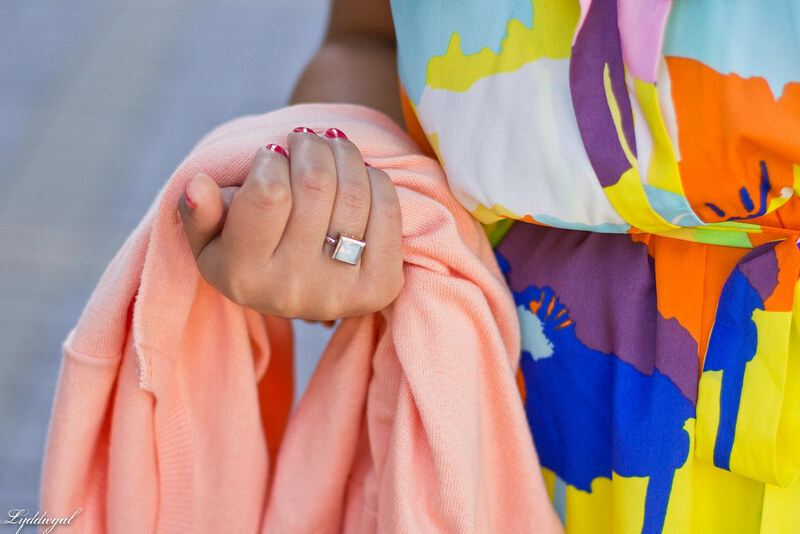 At least on the blog :-) And that dress is just so happy - love all the colors! WOW!!!! stunning dress, love so much this stylish with these colors, love love. Well you look fabulous in that dress ! I have issues with P&G and their animal testing. 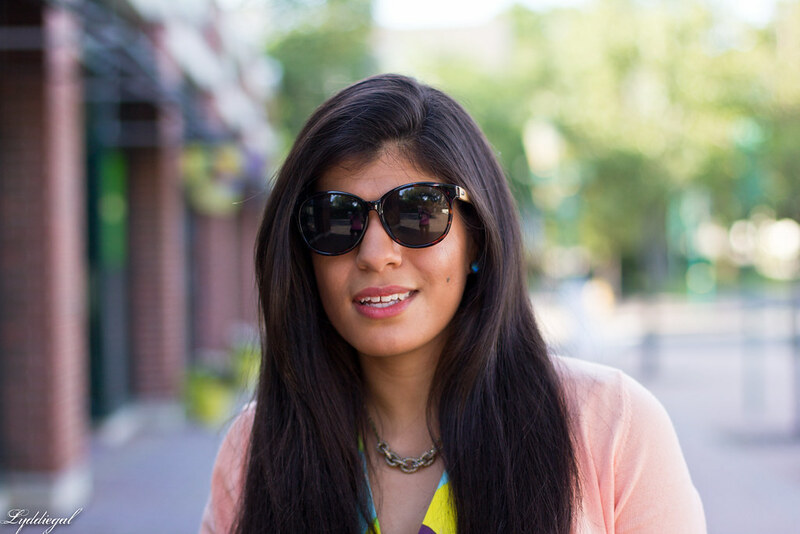 Their shampoos really do work!...Your hair always looks great, as does this outfit. You look great in yellow. You have such beautiful hair! 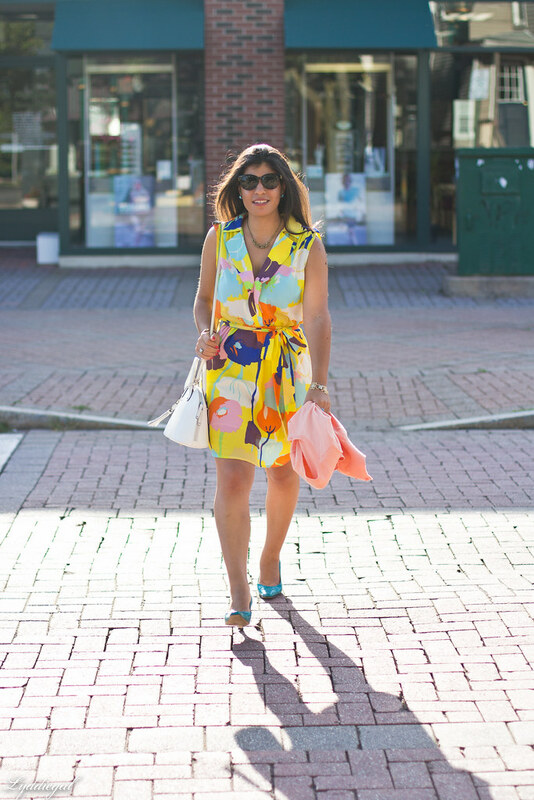 That's such a fun colorful dress, it looks great on you! Your hair is beautiful! 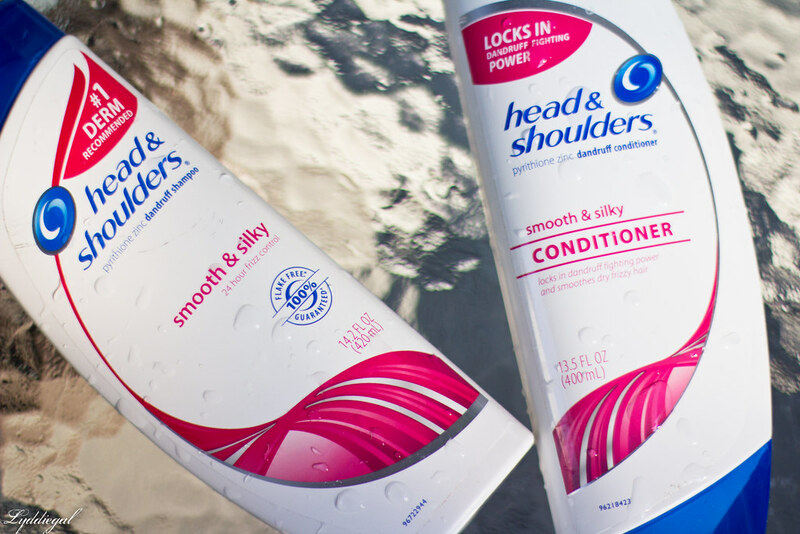 I am a head and shoulders user every winter when my scalp gets dry. It really helps! Your hair looks very healthy and shiny! and the colorful dress looks very pretty on you! You hair looks absolutely incredible. SO jealous! I've heard great things about Head & Shoulders! Your hair looks great Lydia! Hair is such a funny thing... and the worst part is, at least for me, it's ever-changing. Just when I think I've sorted it out, it throws me for a loop. These days I alternate between shampoo+conditioner one wash and shampoo+apple cider vinegar the next. My hair was prone to dryness growing up but since I've lived to a humid climate, fighting frizz is more of a concern than dryness. But the battle is never ending, and I'm glad I'm not alone. PS: Love this outfit. All of the colours are so different but they way they all come together in some kind of bold harmony is just amazing and wonderful. Very few people could pull this look but on you, it's a home run. Always love your full gorgeous hair! 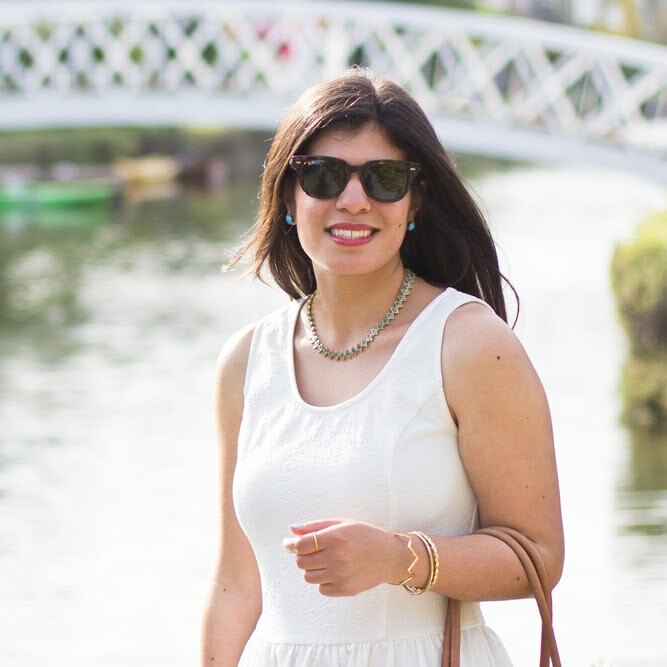 Loving this bright summery dress too. You look amazing dear, love your dress! Your hair always looks fantastic! 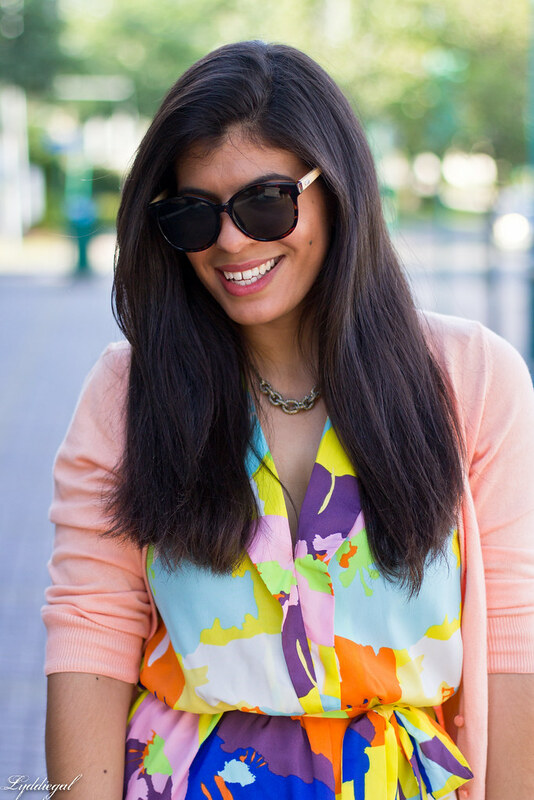 I'm loving this fun colorful outfit! you look lovely! nice to hear about your hair - they always look stunning! That dress is absolutely amazing. It looks like a contemporary painting! This dress is beautiful. I love that you get so much out of those shoes too! Such a great find. love this dress!! the bright print is so fun!